Have you checked out LG OLED TVs lately? If not keep reading to see why the LG OLED TV is bigger and better than ever. Mr. Savvy and I have been looking to get a new TV for a while now. Our main one still works so we haven’t quite made the leap yet. But, at least for today’s standards, it’s a bit of a clunky dinosaur. It’s a 65″ DLP and we’ve definitely gotten our money’s worth out of it. We’d honestly been looking at another brand of TVs for years now. Until we were talking with a person that really knows their stuff about TVs and saw the superiorly gorgeous screen of LG OLED TVs in person. Now, we really can’t be swayed to buy anything but LG when we buy our new TV. Here are several reasons why. 1. Stunning picture quality even on a larger screen. Like I mentioned, we were honestly looking at another brand than LG for years now. But, once we were actually looking in person and saw just how gorgeous LG’s picture is, we were sold. The colors are just so vivid and beautiful. I haven’t always liked large TVs and comparing sizes in some other brands, it’s obvious the picture quality goes down the larger you go. But, that’s not the case with LG OLED and their 8.3 million individually lit pixels. We’ll definitely be getting a large TV when we buy, like this 77″ OLED 4K UHD TV with HDR. I love that the size kind of lets you immerse yourself into your favorite movies, TV shows, and even sports games. It’s an awesome bonus to be able to with 4K movies and TV shows in Ultra HD level picture quality. 2. 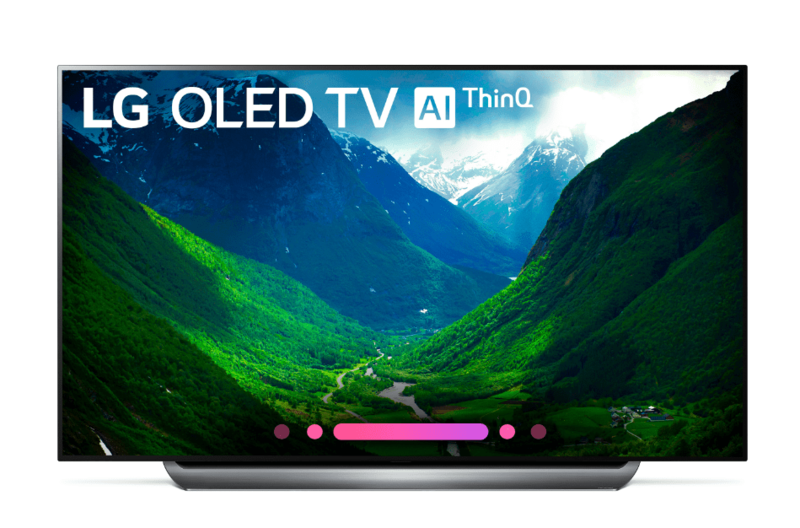 LG TVs with AI ThinQ® have Google Assistant built in while maintaining an ultra slim design. You also have plenty of premium content choices. It also works with Amazon Alexa devices. AI ThinQ® is a pretty cool technology that comes in handy. 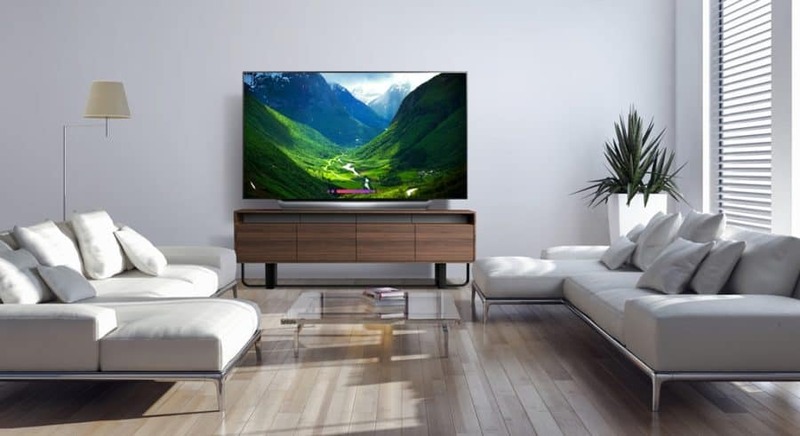 You can conveniently control your TV with voice commands to change things like picture settings, the volume, search for something to watch, and even control compatible connected home devices. It’s so much better than trying to find the remote if you enjoy watching your shows in the dark. And, since it’s a smart TV you can use apps like Netflix, Hulu, and more. DISCLAIMER: Service limited to certain languages. Some features require 3rd party service subscription. 3. They feature LG’s most powerful processor. The Alpha9 processor helps produce a picture quality you can easily identify from all the rest. The picture truly looks true-to-life. 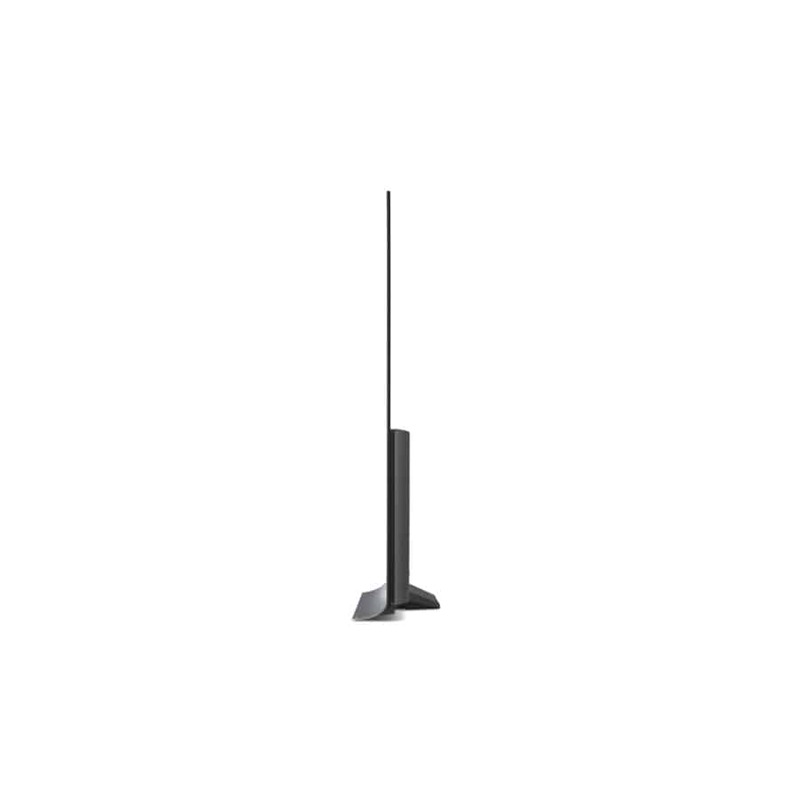 Plus, it allows the TV have a slim and sleek style so it looks great being mounted on the wall or on a tabletop. Did you know that LG OLED TV has been the world’s best-selling OLED brand since 2013? Based on IHS Markit, Technology Group, TV Sets Market Tracker, Q4 2017. Ranking is not an endorsement of LG. Any reliance on these results is at the third party’s own risk. Visit technology.ihs.com for more details. All OLED TVs use panels manufactured by an LG affiliate. 4. You can enjoy cinematic sound quality at home. It’s so disappointing if you have a TV that you think looks awesome but the sound leaves something to be desired. Thankfully, that’s not something you have to worry about with LG and Cinematic Sound at Home with Dolby Atmos®. You’ll feel like you’re listening (and watching) at the local movie theater but from the comfort of your own home. DISCLAIMER: *Dolby, Dolby Atmos, and the double-D symbol are registered trademarks of Dolby Laboratories. If you’re sold on LG OLED you can save $500 on select LG OLED 4K TVs currently at Best Buy. 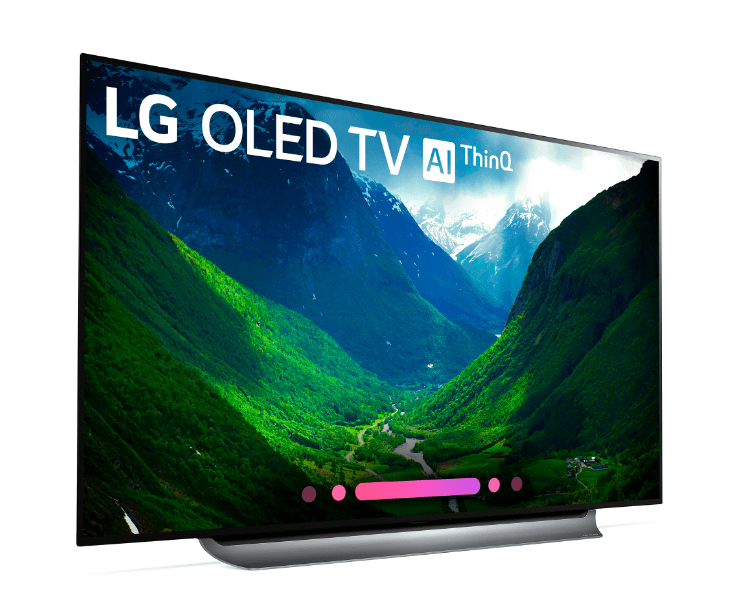 See all available LG OLED TVs here.